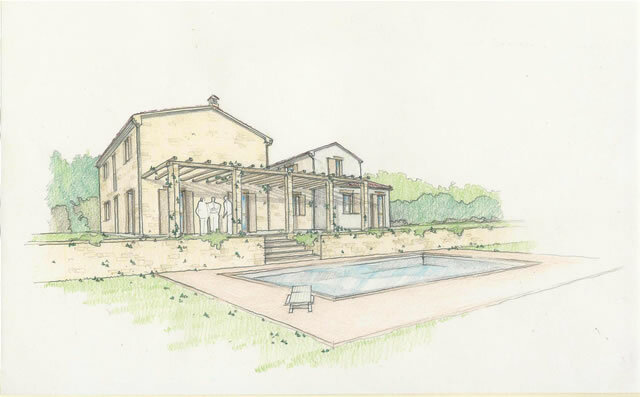 Accommodation: An original stone farmhouse with guest house and swimming pool near the villages of Cessapalombo and Caldarola, that has been totally rebuilt to modern day standards and using all original style materials. 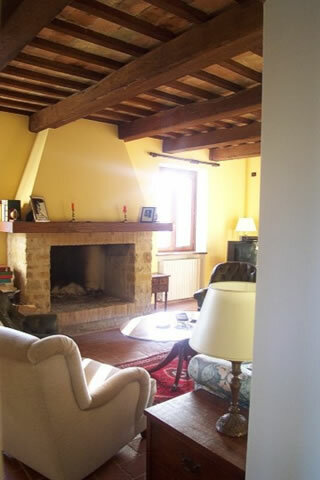 The house contains lots of lovely features including large chestnut beams, fireplace to the living room, double glazed windows in chestnut wood. 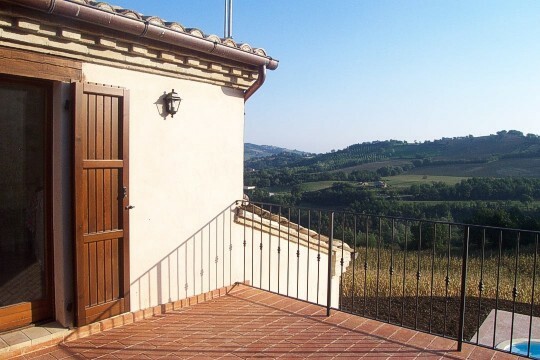 There is a very nice first floor terrace that links the main house to the apartment. 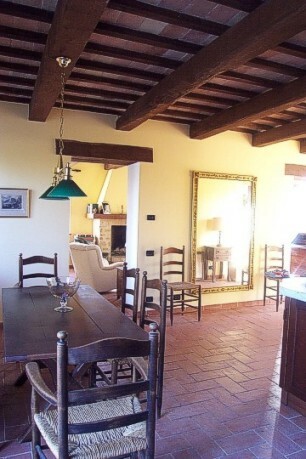 Situated in beautiful surrounding countryside at the foot of the Sibillini Mountains. 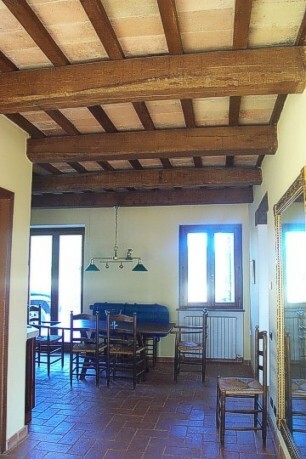 The property comes with approximately 2.000sq.m. 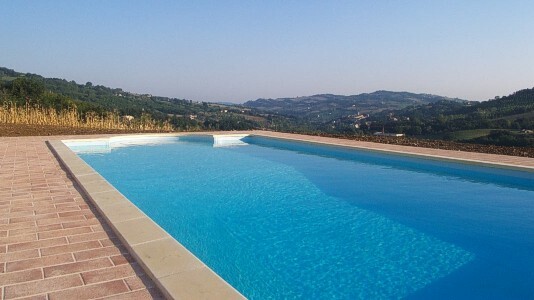 of land and swimming pool. The main house contains large living room with traditional style fireplace, fully fitted kitchen and dining area, bathroom/utility to the ground floor. 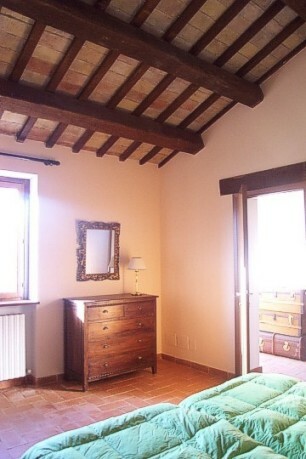 To the first floor there are three large bedrooms and bathroom. The linked guest accommodation contains a further two bedrooms, bathroom, fully fitted kitchen and living area. All the services are connected. 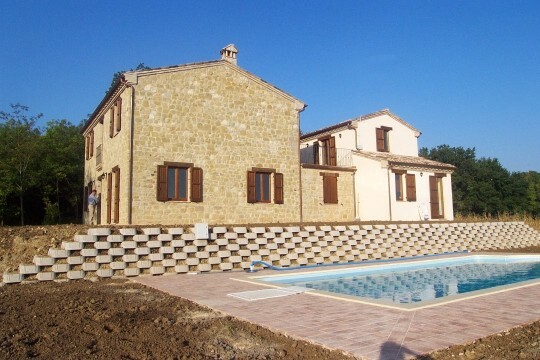 The house comes with a swimming pool of 9m x 4m with Roman end.